Happy Easter to you! Today we read from Luke 20:1-26 in the One Year Bible. Jesus is talking about the stone that the builders rejected becoming the cornerstone, and it being a stumbling block to many. Of course, He's referring to Himself. 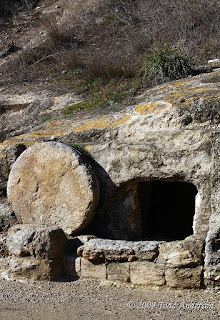 But the stone rolled away from the tomb represents that same stumbling block. It's impossible for the mind to accept the actual reason the stone was rolled away without faith. In order to believe that the stone really does mean that a man rose from the dead and makes it possible for us to do the same, we have to REALLY trust that man. That's what Jesus was doing for three years - teaching us to trust Him. So that when He rose from the dead, we'd know that we can believe it, and have everlasting life ourselves. It almost seems too good to be true, doesn't it? But in this very rare case, it actually is true! God, thanks for that stone, so hard to accept, that changes everything. Today in the One Year Bible, we read from Luke 19:28-48. Jesus rides into Jerusalem on a borrowed donkey, and everyone exults Him remembering the miracles they had seen. We saw something of a miracle this week that we can remember, too. 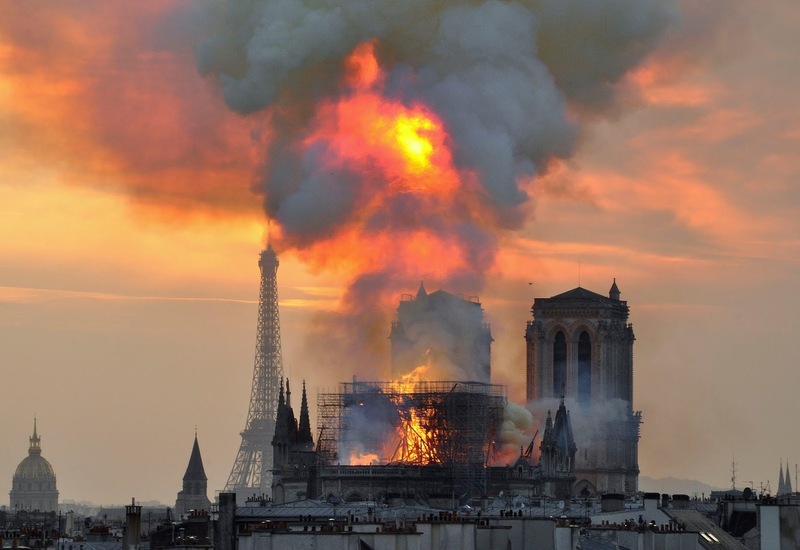 This week we saw a terrible thing: Notre Dame Cathedral in Paris caught on fire. According to reports, it was an accident, possibly caused by a short circuit. That's the bad news, and the whole world held its breath to see if the entire Cathedral would be lost. But thanks be to God, most of the Cathedral survived the fire. The incredibly beautiful rose windows were spared. Even the bees that were kept on the roof somehow survived the fire. Here is some information on why Notre Dame is so important. So once again we've seen God do what He does so well. He took something that the entire world perceived as a tragedy and transformed it into something amazing and beautiful. He saved this church - just as He saves me and you, maybe singed and having lost a little of our grandeur... but still wonderful and beautiful and salvageable - with a little work. God, thanks for giving us this life lesson this week. Help us to remember this lesson when we feel our lives are on fire. Today we see an example of God's proactive, unmerited grace in the One Year Bible reading from Luke 19:1-27. Jesus is walking down the road, and Zacchaeus, a notorious tax collector (a sinner despised by everyone, especially devout Jews), climbed up a tree in order to see Him. 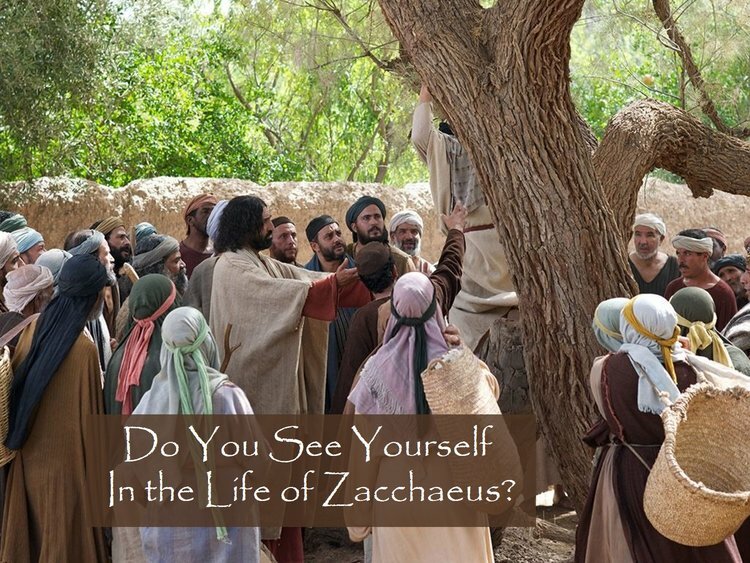 Jesus comes to the tree and tells Zacchaeus to come down from the tree because He's going to eat at his house. The religious leaders are all upset because Jesus is headed to this sinner's house. But in response to His grace, Zacchaeus vows to give money to the poor and pay back anyone he's cheated. Notice he does this AFTER Jesus says He's going to His house. Many highly religious people today have a problem with this order. In fact, when the order of grace and then repentance is brought up, they'll usually reply, "Well, Jesus knew his heart... that he was already repenting." But this doesn't add up. First, because the Bible never mentions this, in any of the cases of His forgiveness and mercy and grace coming BEFORE someone's repentance. And second, because none of us would be capable of repenting without His mercy and forgiveness. When we re-read John 3:17, we realize that all of us... ALL OF US... were sinners lost to damnation at one time. But that God in His mercy, reached out to ALL OF US and gave us the offer of salvation. He began reaching out to us, giving us mercy and grace and forgiveness, long before we ever showed any signs of repentance. In fact, we could never have had the heart or the desire to repent if it weren't for His love that led us into that repentance. So let's show the same love, mercy, forgiveness, and grace to the sinners who have not yet learned of His salvation. Let's reach out with the sunshine of His love into the darkness of sinner's lives. Let's extend that same generosity that He showed to us. And that He showed to Zacchaeus. And we'll be amazed what a change that will bring. God, thanks for Your mercy and forgiveness. Help us to act like You. So how alarmed should we be? Well, Jesus tells us that those of us who are well off should sell all that we have and give the money to the poor, and come follow Him. Notice, He doesn't just say give it away... He says that giving it away will get you treasure in heaven. You're not getting rid of bad things - you're investing good things in something better. Therefore we should consider giving of our wealth to those who need it. We NEED to be more generous with what He's given us. But don't despair. 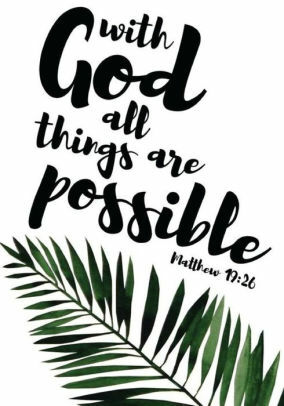 With God all things are possible. Even your salvation - and mine. God, thanks for making all things possible. Help us to be generous with our stuff. Jesus says something very profound today in the One Year Bible reading from Luke 18:1-17. He gives us a little story about an unjust judge (should be an oxymoron, right?) who fears neither God nor man (in fact, he humorously stops midway through his decision and says "Even though I fear neither God nor man...") but because of the persistence of this man who keeps asking for something and never gives up, relents and gives him what he asks for. Jesus then reassures us that God cares about us much more than this selfish judge, and so of COURSE He will answer our prayers and give us what we need, especially if we persist in asking. But then. Jesus turns the table on us. In one breath He tells us that God hears us and will answer our prayers. But then, He breathtakingly asks, "But when the Son of Man returns, how many will He find with faith on the earth?" 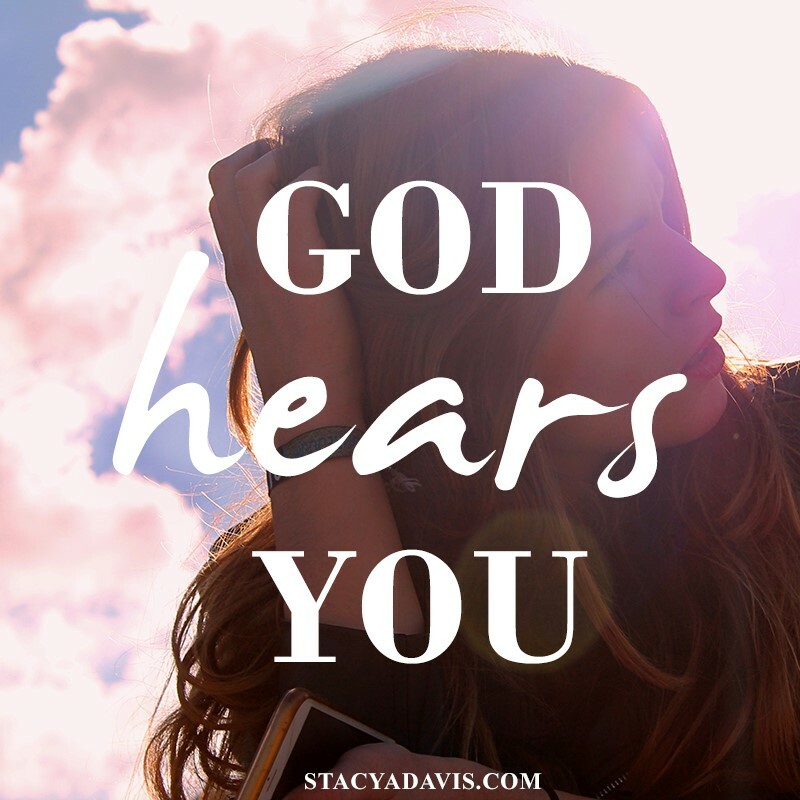 In other words - God is listening to you and will answer your prayers. Are you listening to Him? God, thanks for listening. Please teach us to listen. Today in the One Year Bible, we read from Luke 16:19-17:10. Jesus tells the story of the rich man and Lazarus. And you might notice... it's the RICH MAN and Lazarus. Not the greedy man, the selfish man, or the uncaring man. The man goes to torment simply, according to the story, because he was wealthy. In fact, Jesus makes this very point when He says, "In his lifetime, he had everything he wanted. So now he is in torment." Kind of eye opening, isn't it? Just to be clear, this doesn't mean that money is evil. 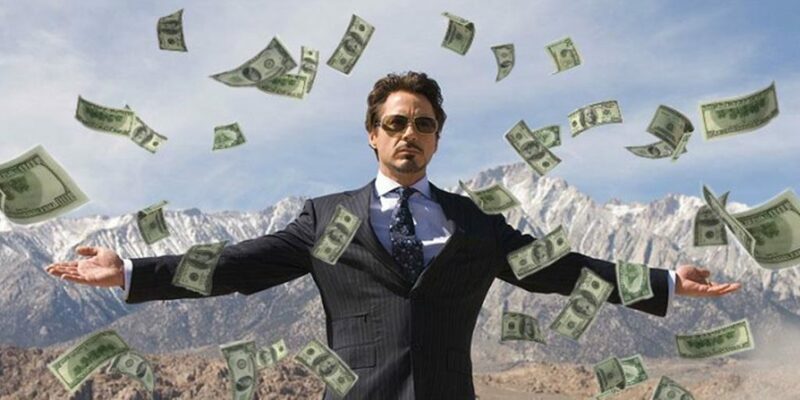 It doesn't mean that having money is wrong. 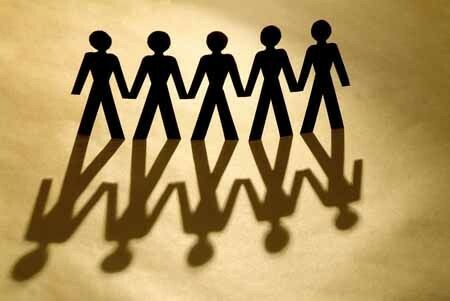 It means that we who HAVE lots of things also have a big responsibility: to help those who do not have. And if you are thinking to yourself, "This just means rich people, like Bill Gates and Elon Musk", it's important for you to realize that if you're reading this, you're one of the wealthiest people in the world. Why? Because you (probably) live in the US, which has a higher standard of living than more of the rest of the world. In fact, it's likely that you are among the top 1% most wealthy people in the world. Don't believe it? Check this out. So please be generous. At the VERY LEAST, pray for those in need. Your prayers will work wonders. But also give. Give of your time, your money, and your energy. Give to those who need it. God, thanks for giving us so much wealth... please help us use it wisely. Jesus tells a very unusual and puzzling story today in the One Year Bible, in Luke 16:1-18. He tells the story of a man who loses his job, and before he leaves he cheats his boss out of lots of money. Jesus tells this story as though the cheater is the hero. And he commends his shrewdness. But He does make sense of this story in the way He sums it up. "Use the things of this world to make friends," He says. And that does a great job of summing up what money is for in our lives, doesn't it? What treasures can we take with us when we die? We talked about this a little in a previous blog. But the only real TANGIBLE things that we can take with us to heaven is other people. So using the treasures we have in this life, the money we're able to make in whatever way our work brings it to us, to make friends - to help people - to bless people's lives... that's the way we transform this world's gold into eternity's immutable treasure. God, thanks for teaching us what money is for.